The story is set in a historical period which is not fully defined but is certainly before the steam age. The fishing village in the Hebrides, is close knit with everyone knowing everyone else’s business. Although they look after each other, and make sure those who suffer misfortune are not left by the wayside, there is still a certain rivalry and gossip is rife. The main occupation is fishing, and the sea claims the lives of men as readily as any other cause. 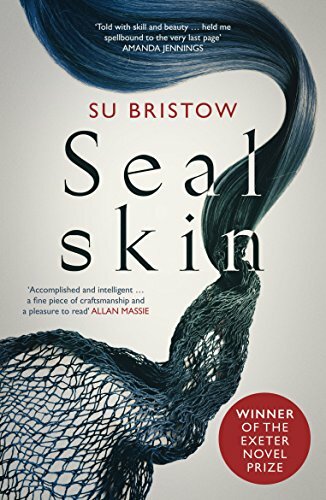 I particularly enjoyed the way Su paints a picture of the village’s social interactions, and the dynamic of riding out a scandal by parading in full view; calmly deflecting accusations. Tight knit communities can be wonderful places to live when you feel included, but can be terrifying if you become ostracised. The ending was particularly satisfying for me. As it approached, just like I always do, I attempted to second guess what would happen. I could only see two possible scenarios and neither of them was really going to please me. It was therefore a blessed relief when Su found a third way that made much more sense than either of my ideas. The book has received many five star reviews already and I am not going to buck that trend, however, one reviewer was highly critical. I didn’t want to comment on her review and end up with a long running argument, but I am going to address it below. But warning, it may contain a few mild spoilers. I have tried to keep this from being a spoiler, but if you are the sort of person for whom any clue at all to the story is a spoiler, then by all means stop reading here. * I said the story begins with a terrible act. An appalling act of violation of a female, which in the modern world is rightly considered unforgivable. The reviewer felt that the act was subsequently glossed over in the story, and that the perpetrator is subsequently portrayed as a hero. As a man, I hesitate to make any excuse, but I feel here that three points are worthy of keeping in mind. The author herself is a woman. OK, I know that proves nothing, but I feel the next points establish she does not make light of the subject. The selkies had been performing a mating dance, and there was a certain magic in the air which made the perpetrator not fully aware of, or in control of his actions. We are not talking about being drunk, or lustful, but being possessed by selkie magic. 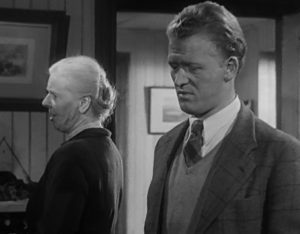 He feels enormous guilt for his actions throughout the book, despite the fact that it is strongly implied that he is not in control of his actions. 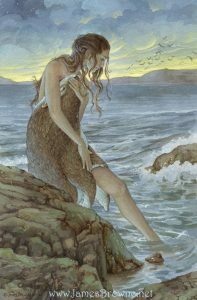 The selkie has magical powers, and can affect a human’s behaviour, as shown later in the book. The setting is historical, and as such, it is not acceptable to make judgements about morality based on modern norms. Juliet was thirteen when Romeo made his advances to her, King David has many wives and concubines. This story is an elaboration of a folk myth and as such stays faithful to the basis of the original. Ultimately, every reader must take what they wish from the story, but in my opinion, it would be a shame to dismiss it because of a lack of understanding of the magical elements.